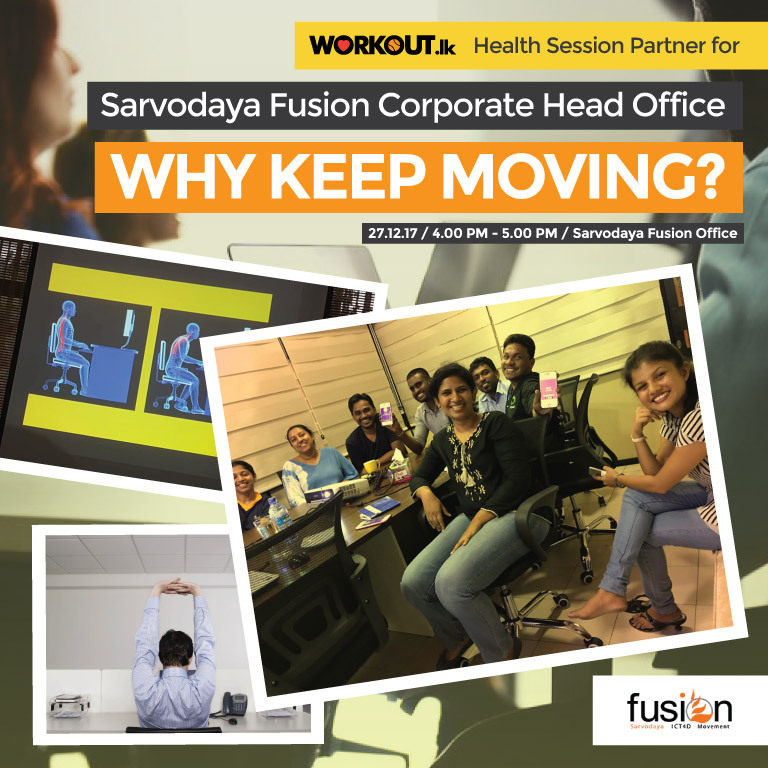 Sarvodaya-Fusion had an early start for new year resolutions for their staff thanks to their enterprising management headed by Isura Silva. We discussed the consequences of sedentary living, solutions and the way forward to become productive driving force towards positive change. Thank you for the opportunity given to inspire! Sarvodaya-Fusion is a not-for-profit social enterprise with the mission of bringing digital access, digital literacy and digital benefits to every person in Sri Lanka.